Ravello is an old town on the Amalfi Coast above the port town of Amalfi. It was a mountain town that was refuge for the people of Amalfi during pirate attacks. Later it became a resort for the rich and famous looking to escape photographers and journalists. 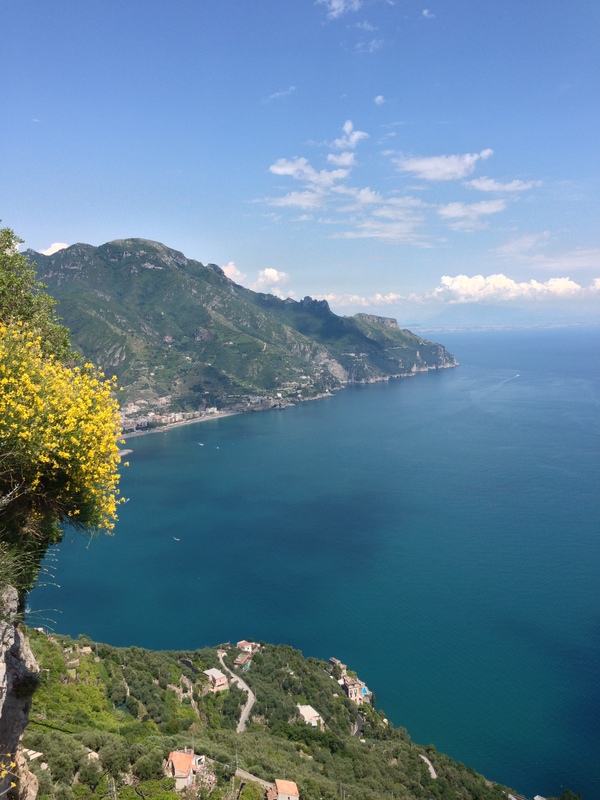 The road up from Amalfi is steep with beautiful views of the valley and sea far below. You can take a bus from the bus depot in Amalfi (at the port where the ships come in) or a taxi up to this beautiful town. This is a DO NOT MISS town. At the top of the road there is a tunnel into the city where only local traffic can go. The streets are mostly pedestrian only. As you exit the tunnel you are in a big Piazza. Off to the right is a tourist information house. There are restaurants and views here. Have a coffee, wine or beer, lunch or just a gelato. When you are ready to leave, make your way back through the tunnel and the bus stop is on the left. Taxis are on the right. When you first enter Ravello walking towards the Piazza, turn left and follow the road all the way out to Villa Cimbrone. This old resort has gardens to walk in and an overhang that looks down on the sea. This is the most important thing to do in Ravello. 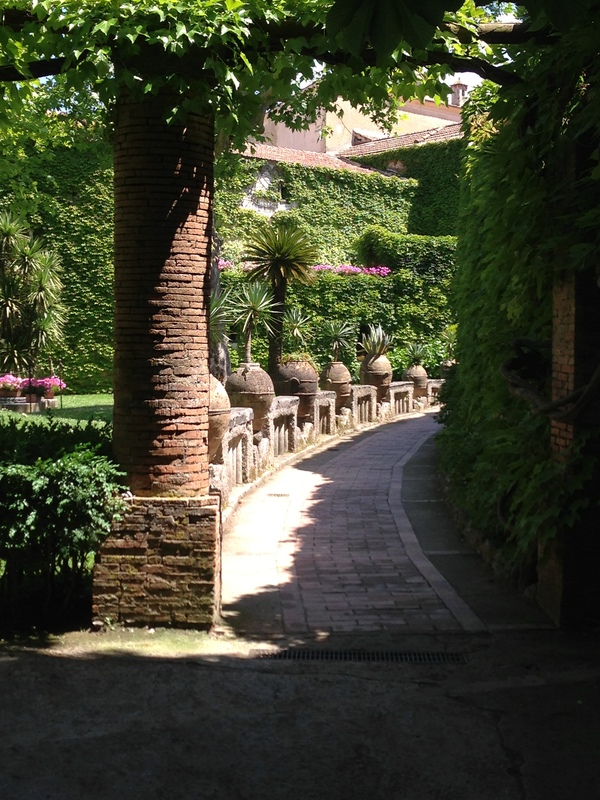 If you have time there is another garden, Villa Rufolo that is worth seeing. The picture above on the left is a walkway in Villa Cimbrone and the picture on the right is a view from the overhang. This is a romantic place to think about days past. The beautiful scenery and architecture is amazing. Spend a day or the better part of a day here. See the two gardens, eat in the piazza and just enjoy the signs. Stroll the town. You can’t get lost there is only one way in and out.